Daniel from Canada recently asked me this question: “What should pro-lifers say to someone who performs abortions?” He commented that this would be a good follow-up to my recent posts on what pro-lifers should say to someone who wishes they had been aborted, is happy about her abortion, or someone who has post-abortive friends. There were recently good discussions on this question at the Secular Pro-Life and Jill Stanek blogs, and I also asked the question to my followers on my Facebook page. This post is a combination of my own thoughts and my favorite comments from other pro-life advocates on this topic. These opportunities can actually happen. Sidewalk counselors are in an especially good position to develop friendships with abortion practitioners. 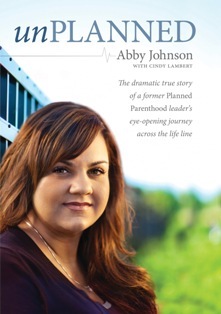 Abby Johnson’s book “Unplanned” recounts the impact that the kind members of Coalition for Life had on Abby. I had the great privilege of coaching my friend Don Blythe, a sidewalk counselor in Modesto and Stockton, who was having a congenial email exchange with the abortion practitioner at his local abortion facility. He’s also had multiple conversations with other abortion practitioners since. To my non-Christian readers, religion is about to happen, but it’s important to explain where I’m coming from on this topic. When the Pharisees saw this, they asked his disciples, “Why does your teacher eat with tax collectors and sinners?” On hearing this, Jesus said, “It is not the healthy who need a doctor, but the sick. But go and learn what this means: ‘I desire mercy, not sacrifice.’ For I have not come to call the righteous, but sinners. If sinners be damned, at least let them leap to Hell over our dead bodies. And if they perish, let them perish with our arms wrapped about their knees, imploring them to stay. If Hell must be filled, let it be filled in the teeth of our exertions, and let not one go unwarned and unprayed for. If meeting for coffee wasn’t possible, I think an email exchange can be very fruitful if you’re especially careful to point out common ground when possible. Remember, in an email exchange, you can’t benefit from nonverbal communication, which makes a huge impact when discussing a contentious topic like abortion. Note: According to the Alan Guttmacher Institute, there were approximately 1,720 abortion providers in the U.S. in 2011, a 4% decline from 2008. There are both men and women performing abortions, but for the sake of this article, I’m going to use male pronouns when referring to the hypothetical abortion practitioner I could talk to. I’m not trying to imply anything about men or women performing abortions with this choice – I simply don’t want to say “him or her” every single time I refer to this image-bearer who performs abortions for a living. Abby urged that pro-life people should take a relationship like this slowly. Don’t try to convert him in one meeting! “Take it slow. Conversion takes time and trust,” Abby said. Think of the rest of these questions as tools for your toolbox. Keep something else in mind: Many abortion practitioners fear for their very lives when they see pro-life advocates. Obviously we shouldn’t all be lumped in with the people who have killed abortion practitioners. (I don’t call these people “pro-life.”) But if you put yourself in the shoes of someone who performs abortions and get in touch with the fear that many of them live with every time they go to work, you may develop an empathy for that part of their lives. Nobody wants to go to work thinking they might be killed or blown up. Many abortion facilities even have bullet-proof glass. Given that, I think it would take a lot more courage for an abortion practitioner to meet with you than it takes for you to meet with him. #2: Tell me how you got involved in the work that you do. This is one of the first questions Abby Johnson asks abortion practitioners. Notice this question is much more conversational than something like, “You didn’t grow up wanting to kill babies, did you?” One question is asked with an open-heart, and the other is accusatory and will probably shut down the conversation before it’s really begun. #3: Do you find your work meaningful, and if so, what makes it the most meaningful to you? My friend Jasmin Aprile posted this question on my Facebook page. It’s similar to a very common question that pro-lifers recommended asking, “What drives you to perform abortions?” I like Jasmin’s because I suspect it won’t come across with the judgmental attitude that this abortion practitioner is certainly expecting to come from a pro-life advocate. Everybody wants to find meaning in their work. Unless this person is in this solely for the money, and people’s motivations are usually much more complex than that, this person probably believes that he’s doing something good for the world. Perhaps he believes that he’s helping protect women from being enslaved by their reproductive systems. Perhaps he believes that he’s helping keep abortion access available in his area at a time when the number of abortion practitioners is dwindling. You will almost certainly disagree with the premises that lead to this person choosing to perform abortions for a living, but you won’t learn where this particular abortion practitioner is coming from until you ask questions like this. #4: Do you think pro-life and pro-choice people should work together to provide resources and support to women in crisis? I assume we both agree that it is incredibly important to help women in crisis; (if so) I think we simply differ in the best means to accomplish that. Would we agree that both pro-life and pro-choice people should work together to provide resources and support to women in crisis so that those who do want to keep their children are empowered to do so? This question has great potential for finding common ground. You both might have a discussion on what would be the most helpful to women in crisis, but you will both learn more about each other’s views by engaging in that discussion. 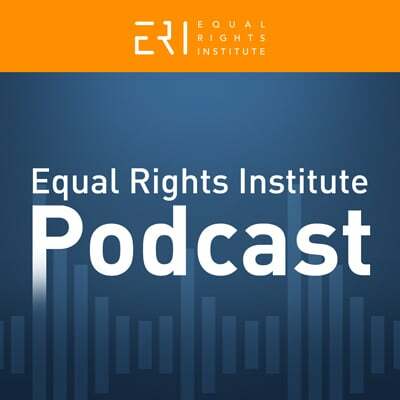 The abortion practitioner may get into a rant about dishonest crisis pregnancy centers, but you can just respond that you agree that pregnancy resource centers should never use dishonest tactics. Click the embedded video below to watch an interview I recorded with our local Pregnancy Care Center director about this subject. 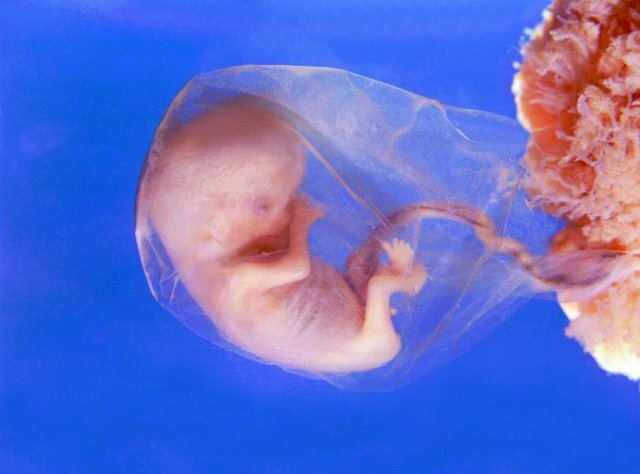 #5: Do you believe the unborn is a living, human organism? With this question, it’s pretty likely the person you’re talking to understands that you’re asking a question about the biology of the unborn. Is it biologically alive? Is it biologically a member of the human species? Is it a unique organism, separate from the mother? #6: What do you think makes life valuable? Why is this question worded so well? It assumes (almost certainly accurately) that the abortion practitioner believes that there are people whose lives have value. When I hear some pro-life advocates talk about abortion practitioners, the implication is that the abortion practitioners not only believe that there are no morally relevant differences between the unborn and the born, but also that orthey don’t think any life has intrinsic value. I think it’s much more likely that abortion practitioners agree that born people have value, but they ground that value differently than pro-life people do. Perhaps the abortion practitioner thinks you need to be viable to have basic rights, and he only does abortions on pre-viable children. Perhaps the abortion practitioner thinks you’re not morally relevant until you have a fully-functioning neocortex. He may even believe that you’re not a person until after you’re born and are self-aware (by some definitions). Those views are still different from having this dark view that no life is valuable, and any life can be taken at will. We’re trying to understand where the abortion practitioner is coming from, and asking an open-ended question like this may successfully draw out his perspective. 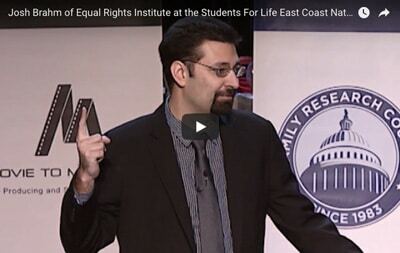 #7: What would it take to change your mind about the morality of abortion? Everybody should be able to answer this question. I know that my mind could be changed about abortion legality if I was convinced that bodily rights arguments successfully accomplish what they are designed to accomplish. I would also need to believe that when the Bible talks about caring for the most vulnerable in society – like widows and orphans – it doesn’t include caring for the unborn. If the abortion practitioner is a thoughtful person, and some absolutely are, he will already know what it would take to change his mind about abortion. This information will reveal a lot about his thinking on the topic. Would you say that, hypothetically, if the unborn are valuable persons like you and I, that abortion would be wrong? 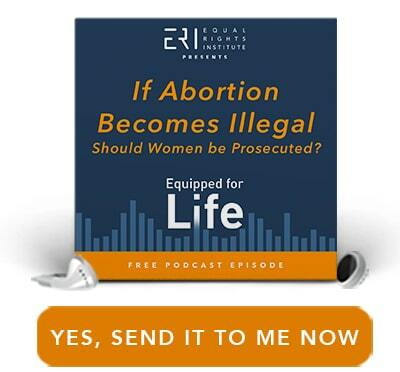 #8: Are there any situations where you would not perform an abortion? Would he refuse aborting after 20 weeks gestation? For gender selection? And if so…why? 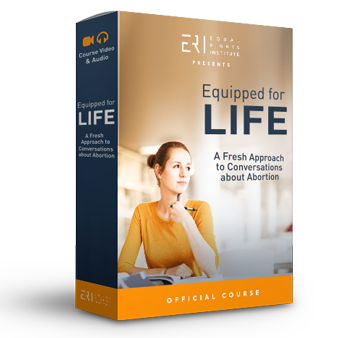 #9: Are you aware that there are resources for abortion doctors who want to change their career path? He may already be aware of Abby Johnson’s And Then There Were None ministry, but I would want to make sure of it. I believe there are some people in the abortion industry who are there mainly because they feel trapped. They don’t think they could get another job and it’s a bad economy. Abby’s ministry has helped 115 clinic workers leave the industry, and this abortion practitioner you’re talking to could be the next if he knows about the resources and has an openness to changing careers. Question: What would you add to this list? 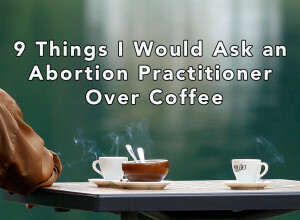 If you could have coffee with an abortion practitioner, what questions would you ask? UPDATE 7/13/15: In the original version of this post I used the word “abortionist.” I’ve changed that to “abortion practitioner.” After hosting an online discussion on the best word to use to describe the medical practitioner who performs an abortion, I’ve become convinced that “abortion practitioner” does the best job of not being rude and also not removing all stigma from abortion, both things I think are important. You can jump straight to the discussion about whether that brings too much stigma to abortion here. You can also read my thoughts on how we ought to think of “shame” as it relates to this discussion here. 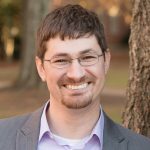 Josh uses speaking, writing and campus outreach to emphasize practical dialogue tips, pro-life philosophy, and relational apologetics.